Earlier this month Apple wowed the world with its new line of iPhones, both of which are larger and thinner than the previous versions. And consumers can’t get enough of them: 10 million phones were sold last weekend, breaking the previous record set last year by the iPhone 5S and 5C. But some users of Apple’s new iPhone 6 and 6 Plus are finding that their superslim glass and aluminum devices aren’t holding up well in a less harsh environment: their pockets. Under the combined stress of human weight and a pair of tight pants, the phones are bending, usually around the volume buttons where the aluminum casing is thinnest. “I keep my phone in my front pocket all the time, all day, every day — have for the last nine years,” Richardson explains. Earlier, he had been on the MacRumors.com forums defending the iPhone 6 Plus against those who criticized its design. But when he checked his own phone after about 48 hours of pocket time, he found it had warped. And this isn’t the first time the Apple Internet fan base has erupted in anger over a design flaw of an iPhone. Back in 2010, the antennas of the iPhone 4, which were the first to be fused into the frame of the phone, lost reception when touched a certain way. Independent tests confirmed what many on Twitter and across the Web reported. Apple spokesperson Trudy Muller said Thursday that iPhones are “designed, engineered and manufactured to be both beautiful and sturdy.” She said just nine people have contacted Apple due to unexpected bending with the iPhone 6 Plus. 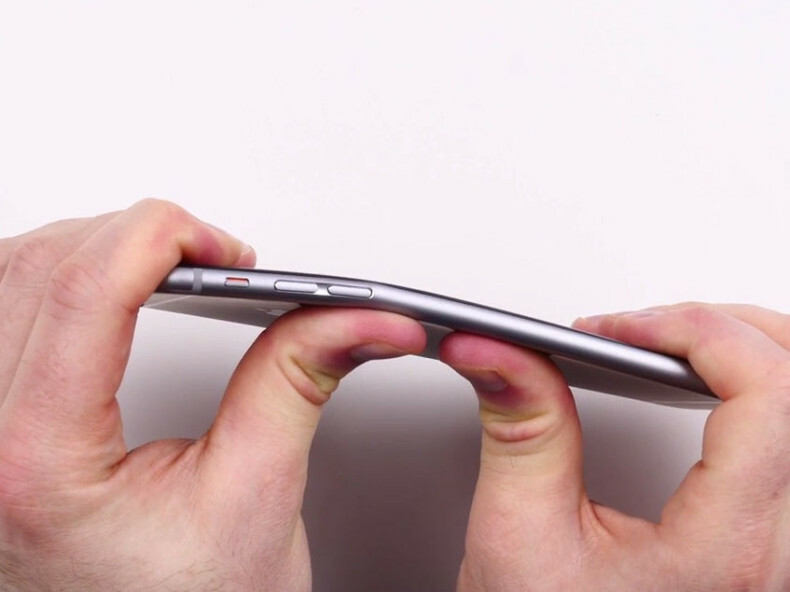 Bending of the phones is “extremely rare” with normal use, Muller said.